The GI-100/1000 is a professional quality, low distortion, AM transmitter unit that is designed for continuous outdoor use. It operates in the standard AM broadcast band and can be operated unlicensed in accordance with Part 15 of the FCC code. It is supplied either as a single unit or with accessories and must be properly installed for optimum performance. The six steps summarized below outline the procedure for a successful installation. Following is an overview of the installation requirements for the Model GI-100/1000. Complete, detailed installation information is included in the OPERATOR'S MANUAL, which must be consulted when completing an actual installation. The GI100/1000 does not embody any particularly hazardous elements, however there are potentially hazardous situations that might be incurred during installation. The person installing the unit must be aware of these situations to insure personal safety. After selecting a suitable site, the transmitter must be physically mounted to a stable structure using standard hardware. 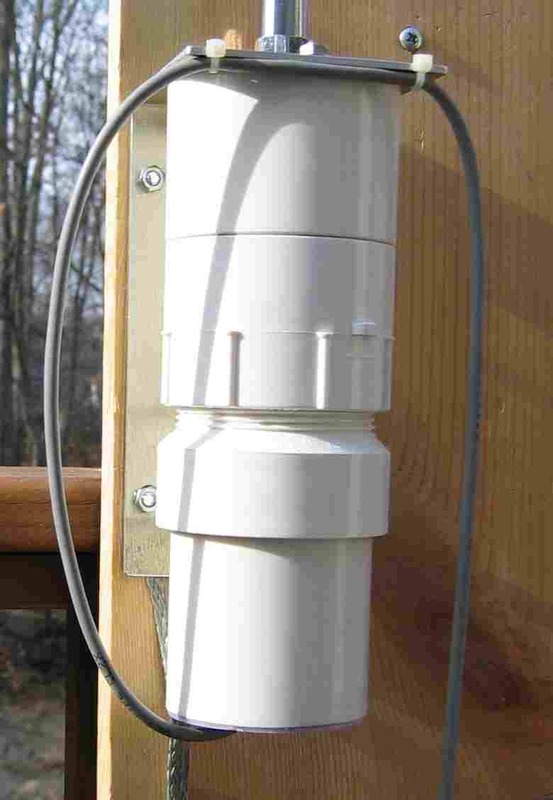 Once mounted, a good ground connection to it must be secured and the 102-inch whip antenna screwed into the integral antenna mount. The transmitter requires a power source (12 Volts DC), which can from a wall wart or from a vehicle battery. It also requires a low level audio source. Connections must be made from these two sources to a cable, and that cable must be safely run from the studio location to the transmitter. Grain Industries has several options available for studio equipment (ORDERING INFORMATION), or the installer can provide his own. Complete requirement specifications for the power source and the audio source are given in the OPERATOR'S MANUAL. After the cable has been run and secured from the studio equipment to the transmitter, three screw connections must be made to the transmitter. A selection of a suitable transmitter frequency must be made to avoid interference with other transmissions, and the transmitter tuned to that frequency. Once tuned, the transmitter is closed up and the cable secured. Once this is done, the transmitter will operate unattended for years, even in an outdoor environment and in all seasons. Once installed, the transmitter can be operated from the studio. The transmitter's tolerance to a wide range of DC supply voltages as well as its low distortion modulation control over an extremely wide range of audio input levels (FEATURES) make operation extremely simple for everyone, permitting individuals with no technical background to operate it without assistance. Copyright 2008 by Wayne Miller, all rights reserved.